Artificial Intelligence could help reestablish the position of telecom companies. Technology is constantly evolving. It’s making our lives easier, automating repetitive processes and removing others altogether. Artificial Intelligence (AI) has been a key driver behind many of the biggest developments in this regard, and recently the collective sights of companies invested in this industry have moved towards customer service. So does this mean AI will soon herald the long-anticipated demise of the customer complaints department? Let’s not get too optimistic early on. Service providers are acutely aware that, when it comes to AI, its potential is currently far too large to be accurately measured, and there’s still a lot of work to be done before we reach that stage. After all, despite the hype around AI’s benefits, there remains a lot of confusion of how to make AI work for both service providers and their customers. To understand how artificial intelligence can improve this situation, therefore, we must first ask what AI will represent for the telecoms industry in the future, and the considerations operators must make in order to maximise the opportunities it’ll create while minimising the potential pitfalls. AI represents a force of differentiation that will empower service providers to drive value across their businesses – from network optimisation all the way through to customer care. We’re already seeing the most innovative and future-gazing companies mixing AI into their operations, including AT&T, SK Telecom, and Telefonica. So why are these operators leaping ahead where others might be hesitant to do so? 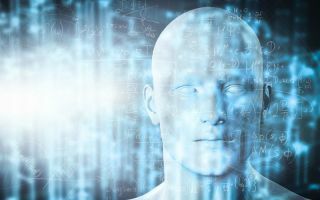 AI will be, and is undoubtedly, a crucial component in the support of current and future IT infrastructure, platforms, and processes. The main end-goal of digital transformation, for example, is to make sure your operations are more streamlined and agile, whilst introducing a hefty dose of scalability and the ability to respond to complex customer and business needs in near real time. Through AI, service providers will be able to keep pace with these demands via new technology (driven by machine learning and deep learning), thereby automating how the network is managed and improving business support systems in ways that haven’t been possible before now. So how will this work? Bearing in mind the above, AI could have a hugely positive impact across the entire gamut of operations. It can deliver intelligent data analytics, whilst also making customer-facing operations and services operate with a level of efficiency never seen before. AI can also extract data from one part of the business in order to input it into another, linking up the two areas so that they may learn from one another. Self-learning capabilities such as this make it possible to improve over time – constantly. Through this dosing of intelligence across multiple business areas, AI can and will create cross-domain value. Key areas that AI will impact operations include intelligence-driven product creation through analysis of customer behaviour and engagement data gleaned from interaction. This could lead to optimal pricing models, for example, as offerings can be based on a far deeper understanding and learning of available competition data, such as advertising, BSS information, and even voice of the customer-style feedback. When applied to network optimisation, AI will have a huge impact in driving efficient traffic routing, proactively. Capacity will be managed effectively, network outages can be minimized, and faults in the network can be bypassed. AI can also be used eventually to optimise network configuration according to a number of factors such as capacity demands, characteristics of traffic volumes, and user behaviour. All this can be used to help the rest of the business with customer care, and AI will do just that: play its role in transforming the customer care and service environment. Through implementing intelligence and automation, it will be possible to anticipate customer needs and issues and engage them at the right time, using the right channel – proactively. AI will also help in personalising engagement by harnessing that same machine learning to address needs in unassisted channels quicker than before, whilst also empowering customer service agents in assisted channels to enable personalised treatment, accelerating resolution and avoiding repeat complaints. So how can this all be implemented? Like any new technology implementation is often complicated. Given that the technology itself is amongst the most advanced concepts ever seen, this challenge is certainly one that will give even the most technically astute a run for their money. The benefits to AI are clear. But how quickly should service providers jump on this train? If you’re striving to be first to market or market leader, or if you’re approaching the matter with trepidation trying to avoid the mistakes of others, incorporating AI into your own service offerings is a risk. Pragmatism wins out here, and a balanced approach which depends on carefully building a formulated AI roadmap will help business leaders and AI teams maximise their potential opportunities, whilst minimising potential pitfalls. 1. The first step is identifying the value that AI technology will add. Service providers need to also assess skill availability within the business, understand what data is available and more importantly what subset of it is useful. Using this information to create an AI strategy and timeline, and planning for which low-hanging-fruit AI applications will deliver immediate benefits to, is essential. 2. Then it comes to building your systems. Is your AI system going to be built in-house, or will external suppliers create it? Or perhaps a combination of both is the best way forward? Of course, you can do it alone; it’s a perfectly valid option. But, if AI is not your core business, you risk a bad investment if you aren’t in sync with AI’s speedy evolution in the marketplace. 3. Finally, buy-in from management. Support must come from above, all the way to the CEO, as incorporation of AI involves cultural challenges, alongside technical ones, that must be dealt with. There is also bottom-up acceptance however, which may mean hiring specialists. Change management committees are a worthwhile investment to oversee the process, as they will be able to ensure that the internal standards of expertise are maintained and continually assessed in terms of market opportunities. With AI prominently perched at the cutting edge of technology, we still don’t know how far it will go in shaping the industry and the lives of consumers. But for service providers seeking to achieve long-term differentiation, it certainly provides the means to leverage the data they hold to offer their customers unique experiences unlike any they had before. If they start moving now, and incorporate a well-planned strategy, AI can be the golden egg that re-establishes service providers’ authority at the top of this ever-evolving industry.